Hey all! So sometimes, on rare occasion, I actually don’t feel like going anywhere. Instead I want to eat chocolate and binge watch Netflix. IN FACT this happened just the other day.When this mood strikes, it’s time to get my baking apron on. 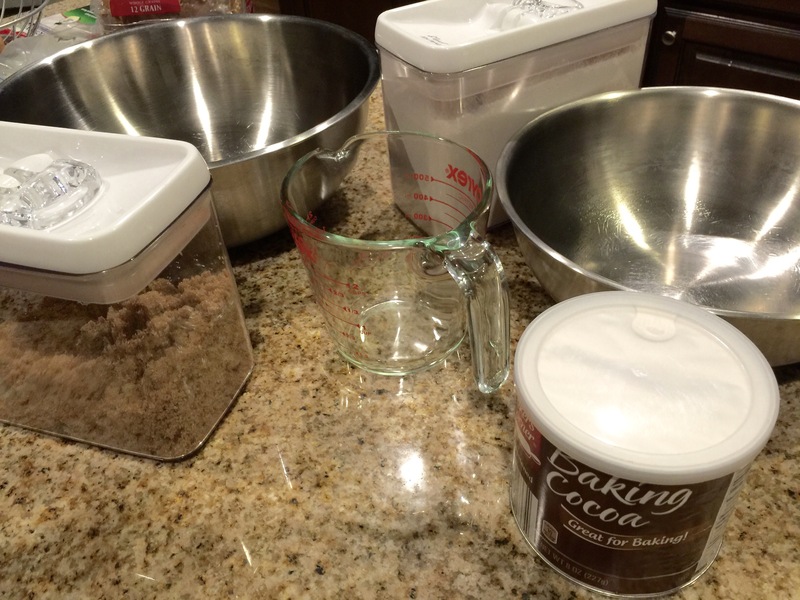 I found this great recipe last Christmas for brownie mix in jar. You can follow the link to find the original recipe. So I totally made a huge mess, like always. I kind of think when you bake it’s a requirement to make a mess. Like if you don’t it’s just not as good or something lol. Preheat oven to 350 degrees F. I used a 9 x 5 inch loaf pan and placed parchment paper inside, then sprayed it down. Sooooooo much easier to get the bread out this way. Promise. Plus less clean up! Me personally, I’m not big on cleaning after all that work getting stuff everywhere. Besides I’m supposed to be busy watching TV duh. So I try to only use one or two bowls and whatever I’m baking in. I mix all the dry ingredients first. Mash the bananas and mix them in with the dry ingredients. Add the melted butter and vanilla. Whisk the eggs with a fork and then mix with other ingredients. Be careful not to over mix. Pour everything into your pan and if you want to make it EXTRA sweet because the chocolate overload just wasn’t enough you can sprinkle a little brown sugar on the top. It kind of crisps up the top and gives it some added oomph. Bake for about 55 to 60 minutes or until bread rises and inserted toothpick comes out clean. Sometimes it’s hard to check with all the melted chocolate chips so you can also try lightly pushing the top of the bread down. If it feels fairly firm and comes back up when you pull away your finger it’s a good sign it’s done. 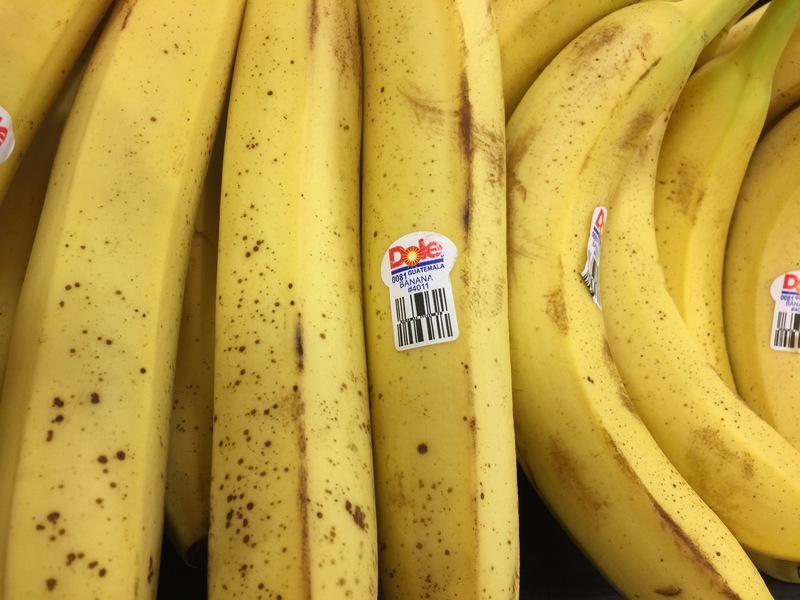 Post Script – It never fails that I buy more bananas than I eat. When your bananas start to brown very lightly coat them with a small amount of lime or lemon juice and freeze them. They will last for about six months. 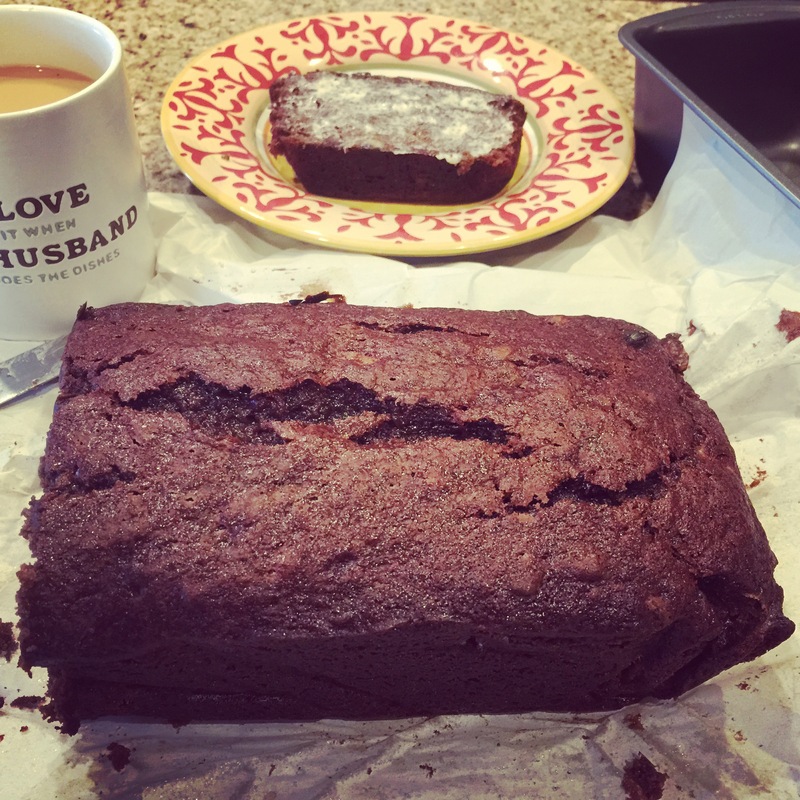 A chocolate lovers twist on traditional banana bread. I used a 9 x 5 inch loaf pan and placed parchment paper inside, then sprayed it down. Mix all the dry ingredients first. Mash the bananas and mix them in with the dry ingredients. Add the melted butter and vanilla. Whisk the eggs with a fork and then mix with other ingredients. Be careful not to over mix. Pour everything into your pan and if you want to make it extra sweet sprinkle a little brown sugar on the top. It kind of crisps up the top and gives it some added oomph. Don’t forget to subscribe and follow me on social media for upcoming food and travel ideas!